For a deeper explanation of our process, feel free to read our "How to Get an Amazon Discount with Cryptocurrency: Shop on Purse" article. What is Purse and How Does it Work? Purse is an online marketplace that enables anyone to get an Amazon discount of up to 33% off anything by naming their own discount and paying with cryptocurrency. Purse provides the platform for this exchange and benefits by getting a small fee from the purchase. At 5% off, Purse will manage your order, which will be fulfilled by trusted VIP Earners. This is the quickest delivery option. Choose a discount of 6–33%, then you will be matched with an Earner who fulfills your order. Purse charges a fee for “Name Your Discount” orders based on the set discount. Purse will always display the fee that applies for your order. See below for the fee schedule. How do you get your tracking information and how long can you expect to wait for your Amazon Discount orders? “Buy Now” orders from Amazon are managed by Purse and fulfilled by VIP Earners with Prime. You can expect Prime-eligible items to be delivered in 2-3 days. “Name Your Discount” delivery time consists of the time it takes for the Earner to pick up your order (fulfillment time) and the time it takes to deliver it. Fulfillment time can depend on the discount rate, order value, and crypto marketplace. Pro tip: If you want the biggest Amazon discount and you’re willing to wait several weeks for your order, choose a discount of 20–25% off. If the order is shipped via UPS, USPS, DHL, or FedEx, Earners provide the tracking number to Purse who sends the tracking number to you. If the order is shipped by Amazon, Purse receives the tracking number directly. Either select your items directly on Purse.io or select your items on Amazon.com and import your public wishlist. If you select the “Buy Now” 5% Amazon discount option, your order will be managed by Purse and fulfilled by VIP Earners for fastest delivery times and no additional Purse fee attached. If you select the “Name Your Discount” option, you are able to receive up to 33% in savings. Provide the address where you’d like your item to be shipped. Don’t have cryptocurrency yet? Click here to learn how to buy it! If you already have enough cryptocurrency in your Purse wallet to cover the order this step will be skipped and your order will be placed. You can set your preferred coin to spend first on your account page. Otherwise, press “Continue” to the next page where we request that you send your BTC or BCH to your hosted Purse Wallet. After arriving, the funds for your order will be held in escrow and your order will be listed on the Purse order book for an Earner to pick up. 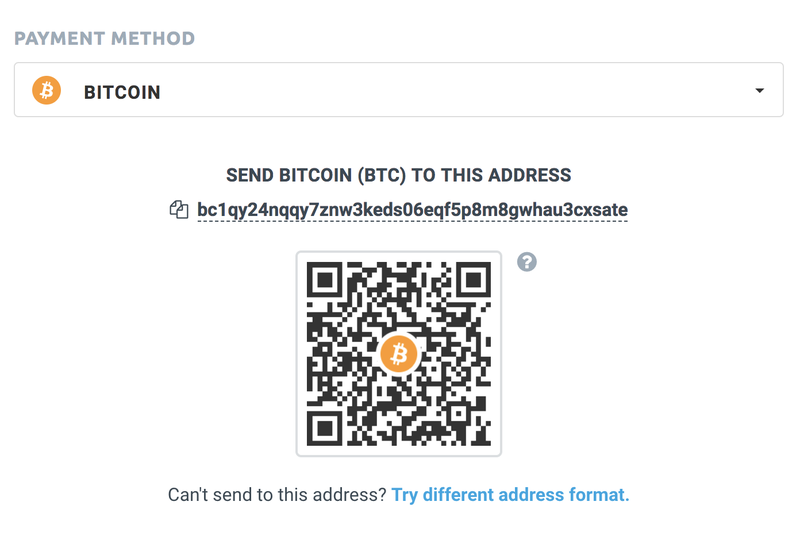 Additionally, you can make purchases with other digital assets besides BTC and BCH using the Purse ShapeShift integration as shown below. Once an Earner accepts your order, they will place the order with Amazon and inform Purse of the order ID. Your order will be updated with relevant shipping information as soon as Purse gets confirmation from an Earner. Purse will let you know once your order has a tracking number, is sent, and delivered to the address you selected in the checkout process. You just used crypto to get an Amazon discount. Say Whaaat?! Make sure to confirm your package as soon as it arrives so the Earner who fulfilled your order can be paid promptly. If the Shopper selects an item with a long shipping time, it may prompt Earners to cancel the order. If the order is cancelled, it will be sent back to the Purse order book for the next Earner to pick up. To ensure the fastest shipping, only order items that are currently in stock and be sure to note the estimated delivery time that’s listed for that item. It is most ideal to select items with a 5–7 day shipping time or less. If the Shopper places an order with a request for a high Amazon discount amount (more than 18–22%), the Shopper will need an Earner to accept that Amazon discount. There is a high likelihood that most Earners will be hesitant to fulfill a high Amazon discount order because they will be accepting payment at a lower rate.